In modern households, laundry room appliances have become a necessity. If your washer starts giving you unpleasant surprises, our washing machine repair Yorktown technicians are at your service. We specialize in washer and dryer repair and ready to assist you whenever the urge arises. Hiring us to repair washing machine is the right way to a void needless stress and set things straight. Just drop us a call and we will arrive at your place ready to resolve your concerns! 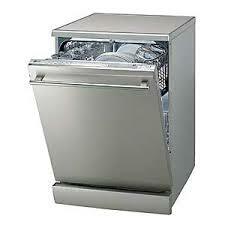 With Appliance Repair Yorktown NY, you can be sure the job will be done quickly and effectively. Over years, we have successfully fixed hundreds of home appliances in Yorktown, New York. Our washer repair technicians are certified to work on nearly all brands and types of washing machines. No matter if it is a top-load, front-load or double-stacked unit that is acting up, we will take care of it. As we are well-equipped and have a good number of common replacement parts in the stock, we can complete any washing machine repair service in a single visit. Aside from repair, you can entrust us your washer installation. Not only will we set up your appliance properly but also provide you with useful tips on how to keep it in perfect working order for a longer time. With proper care, your washer can serve you up to twenty years. If you are not keen on replacing your unit once in a few years, contact our washer machine technicians for preventative maintenance service.We will thoroughly check your appliance and correct all minor problems before they cause a major breakdown. Scheduling regular washer service with our team will help you save a significant sum of money in the long run. If you are encountering any issues with your laundry room appliances, don’t panic as our team of experts knows how to complete any washing machine repair in Yorktown to your fill satisfaction. We are waiting for your call!